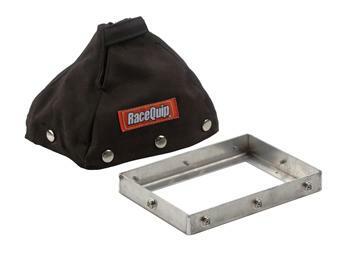 This RaceQuip shifter boot and mounting plate kit features a fire-retardant black boot and is Non-SFI certified. Boot is made from quality Banox FRC material. Unit measures 7-1/2 inches high x 5-1/2 inch at the base and 6” inches high overall. Sold as one complete kit.